I just saw my friends' great finds at Toy Kingdom's Toy Warehouse Sale and I conclude that this is a must-go shopping event for moms. If you are planning to brave the crowded and narrow streets of Divisoria for your Christmas shopping this weekend, I suggest that you cancel your schedule and go straight to SM Megamall. Check out Mommy Lani's (Tweensel Mom) photos of the toys on sale. I was not able to access my VIP slot (huhuhu!!!) so I lost my chance to score branded toy items at super low and discounted prices. Question: What is the event? Answer: Toy Warehouse Sale is an annual event of Toy Kingdom. This is our tenth time to hold the event at Megatrade Hall in SM Megamall. Expect huge discounts up to 70% off.Question: When and where is the event? Answer: It will be on November 4 to 6, 2016 at Megatrade Hall 1, 2& 3 SM Megamall. Entrance is located at Hall 2 while Exit is Hall 1. Question: What time will you open Toy Kingdom Toy Warehouse Sale? Answer: We open at 10 am and close at 10 pm. Question: Is the event free? Answer: There is no entrance fee or registration required to enter the venue. Question: What are the acceptable modes of payment? Answer: We accept cash, credit card payments, Toy Kingdom gift cards, SM gift cards, SM gift pass and Sodexho gift certificates. Question: What are the credit cards accepted during the event? Answer: We accept all major credit cards, whether issued international or local. Question: For credit card transactions, can I opt to pay in installment during the Toy Kingdom Toy Warehouse Sale? Answer: Only locally-issued credit cards can avail of this promo. Minimum purchase of P3000 is required to avail of 3 months or 6 months instalment payment at 0% interest. Question: Will there a 2 hour special or preview sale for SM Advantage or SM Prestige cardholders? 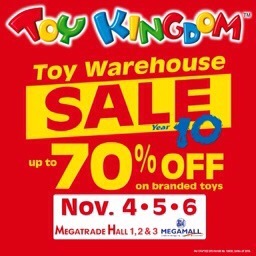 Answer: There will be no 2 hour special or preview sale during Toy Kingdom Toy Warehouse Sale. Question: Will there be a special area for children? Answer: There is limited space at the event and there is no special area where customers can leave their children inside Megatrade Halls 1, 2 & 3. Question: Will there be an area where we can leave our belongings? Answer: There is no area at the event where you can leave your belongings. There are package counters at the mall (Supermarket area and Department Store area) which you can use instead. Question: Will there be a lot of people during Toy Kingdom Toy Warehouse Sale? Answer: Yes! We are on our 10th year and each year the number of people keeps growing. It's a just a testament as to how amazing the toy deals are during this event. Question: Is there gift wrapping service during Toy Kingdom Toy Warehouse Sale? Answer: This service is not provided during Toy Kingdom Toy Warehouse Sale. Question: Will you give free gift wrappers during Toy Kingdom Toy Warehouse Sale? Answer: Gift wrappers will not be given away during Toy Kingdom Toy Warehouse Sale. Question: Do you sell the Toy Kingdom gift wrapper? Answer: We do not sell the Toy Kingdom gift wrapper but we do have Toy Kingdom tote bags which you can use to put your toys in. Question: Can I have the items purchased at the Toy Warehouse Sale gift wrapped at another Toy Kingdom branch? Answer: Our branches can only gift wrap the items bought at the store. They cannot gift wrap items purchased from the Toy Warehouse Sale. Question: Do you accept reservations? Answer: No. We are selling limited quantities of particular toys because it is a warehouse sale so we cannot reserve pieces for customers. It would wise to come in early. Question: Will there be an extension of the sale? Answer: Toy Kingdom Toy Warehouse Sale only happens once a year during the specified date. There will be no extension of the sale however there will be other sale events in the coming months. Question: How many cashiers do you have? Answer: There are 24 counters which can accept cash, credit, debit and approved GCs as mode of payment. The speed of each counter is determined by the number of toys bought by each customer. Since the toys are really bargain price, a lot of people are buying cart full of toys and we appreciate a little patience and understanding from everyone in line. Question: Will you provide the customers with plastic bags upon check out of items? Answer: Yes, we will provide customers with plastic bags during the event but we do encourage you to bring your own tote or eco bags. Question: Should I bring the whole family at Toy Kingdom Toy Warehouse Sale? Answer: This is a warehouse sale and there will be lots of people in the venue who have only one thing in mind: shop and get the best toy deals. As much as we want to accommodate everyone, we highly suggest that you do not bring your babies and small kids for their own safety and convenience. Do you still have questions? 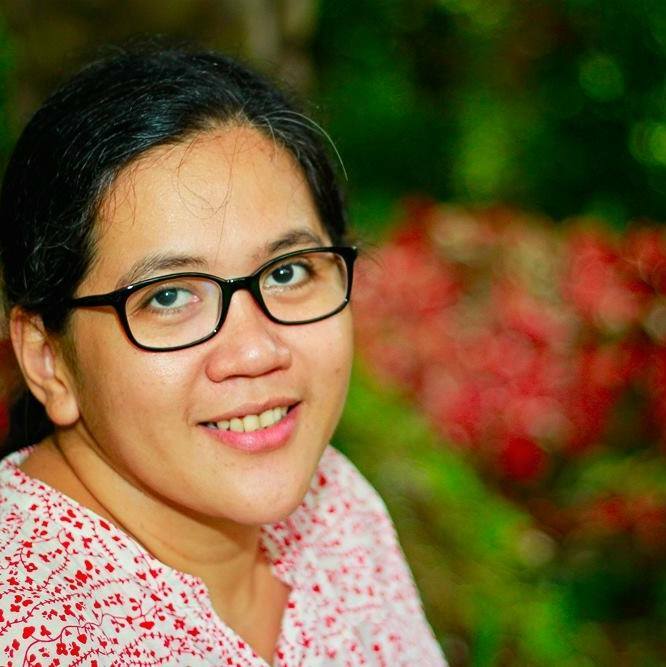 Naku, mga mare. Tama na ang mga tanong. Attack na sa SM Megamall, Megatrade Hall! Now na!